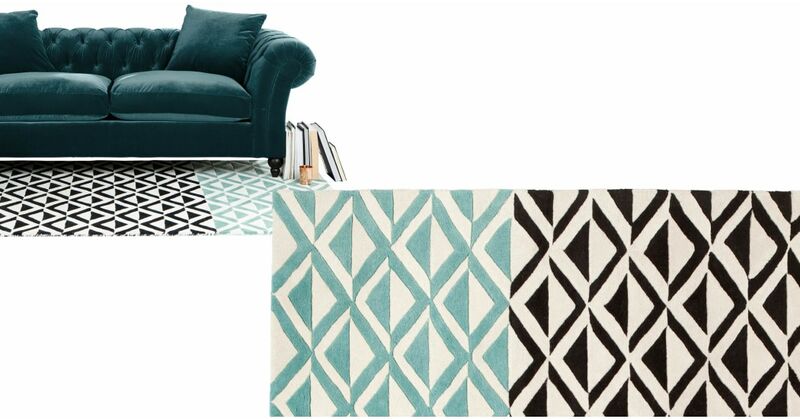 Add depth and colour to your living area with this striking monochrome rug. With a strip of soft verdigris blue for a subtle colour pop. Playing with positives and negatives, the pattern reverses as it turns from black to verdigris. It gives this rug an almost 3D feel.